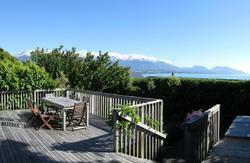 Warm, friendly and funky, only 200m from the beach and with awesome views of the sea and mountains, Adelphi Lodge is the ideal place to stay to experience Kaikoura and the eco-tourism activities that the area offers. The Adelphi Lodge Kaikoura is perfect accommodation for backpackers, families, independent travellers or groups with warm and comfortable double, twin and single rooms, and dormitories. The Adelphi Lodge is conveniently located in the centre of Kaikoura, New Zealand, only a short walk to the Whale Watch station and Information Centre and handy to an abundance of cafs, restaurants and bars as well as ATM's, the Post Office, Chemist and supermarket. 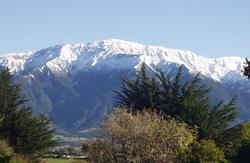 We hope you have an enjoyable stay with us here in Kaikoura! Look for the ADELPHI LODGE sign painted on our roof, about 30 steps from the bus stop and about 5 mins walk from the train station.